Senate President Bukola Saraki has moved to further show his commitment to an open National Assembly by responding to news about the lawmakers’ N8.64 billion wardrobe allowance. Saraki today received the Chairman of Revenue Mobilisation Allocation & fiscal Commission (RMAFC), the government agency in charge of determining the remuneration appropriate to political office holders, in his office. According to him, clarified to him that each Senator will receive N506,600 annually as wardrobe allowance. This amounts to N2,026,400 per senator for the next four years. Following his meeting with the RMAFC chair, the former Kwara State governor wrote on Twitter: “Fixing of renumeration of political office holders is sole responsibility of Revenue Mobilisation Allocation & Fiscal Commission. “With the current challenges we are facing as a nation, RMFAC will be reviewing allowances to reflect the current economic trend. 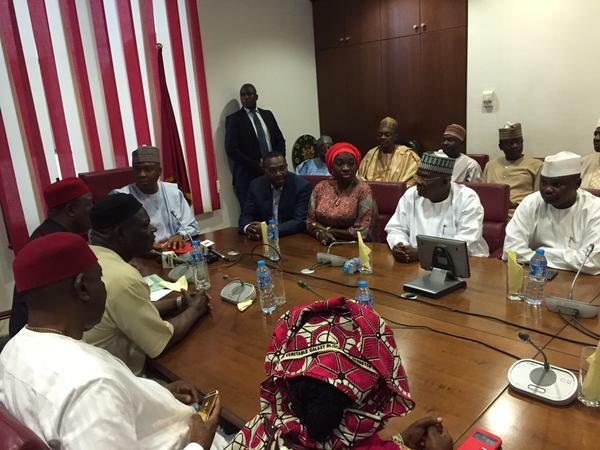 Saraki also tweeted that the RMFAC will be publishing details of allowances on their website. Now we have excellent governance. Senator Saraki we expecting more because I believe in you people. Make name not money in your services to mankind. The bible says that every government is an establishment of God, so do the your work justly. God ‘ll surely reward you. Good one from 8th assemble, they need to be strong so as to keep moving to the next level .